SOS Children's Villages has been working in Lesotho since 1998. Our organisation has provided both emergency relief as well as permanent aid to vulnerable children and young people in the country. As all countries in Southern Africa, Lesotho has been severely affected by the HIV/AIDS pandemic: approximately 24 per cent of the population, many of whom are children, live with the disease. 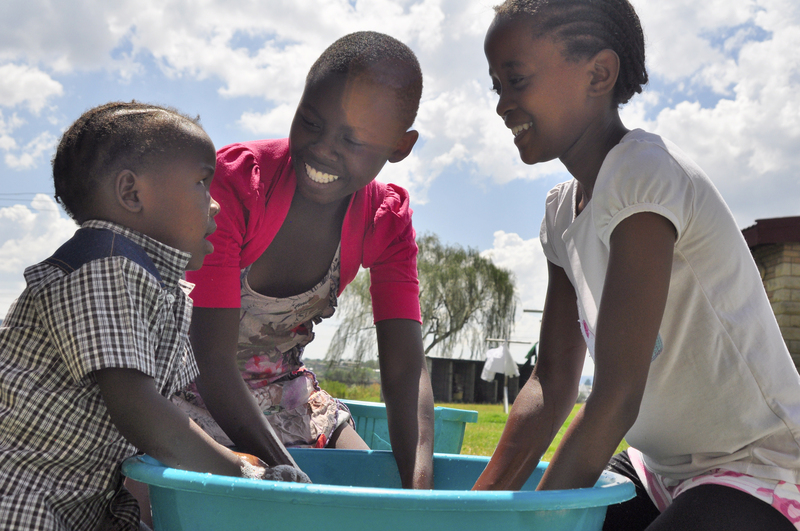 Brothers and sisters grow up together in SOS Children's Village Maseru (photo: SOS archives). Maseru is the capital city of Lesotho and is located close to the border with South Africa which lies just across the Mohokare River. It is home to around 220,000 people. The city has grown rapidly in recent years, and this has resulted in unplanned settlements with limited access to sanitation facilities and safe drinking water. As the economic centre of the country, Maseru is involved in the mining industry and in the exportation of water and electricity to South Africa. The city used to have an important textile industry, but demand for its products has declined recently, leaving many people unemployed. Similarly, remittances sent home from miners working in South Africa used to be an important source of income for many families; these have however decreased as the South African mines have restructured. According to some estimates around one third of the families living in urban Maseru are living in poverty. Poor households tend to be headed by the elderly, women and children. Furthermore, only around five per cent of those living in Maseru has guaranteed access to food throughout the year. In order to have something to eat, people have turned to growing their own fruit and vegetables and raising livestock. Some are found working in casual jobs, often on the streets of the city. The high levels of poverty are accompanied by poor health, especially tuberculosis and HIV/AIDS: according to some estimates, the prevalence rate of HIV/AIDS in the city is as high as 42 per cent, almost double the national rate. Around half of the children of the city are living in poverty. In recent years there has been an increase in the number of children who have lost parental care. Many of these children do not go to school, but end up trying to scrape a living on the streets of Maseru. The government of Lesotho has been very supportive of the work of SOS Children's Villages and provided our organisation with a suitable plot of land, approximately eight kilometres from the centre of the capital Maseru. It is situated in the semi-urban settlement of Lithabaneng, which is predominately composed of dwellings made of concrete blocks or mud with tin roofs. 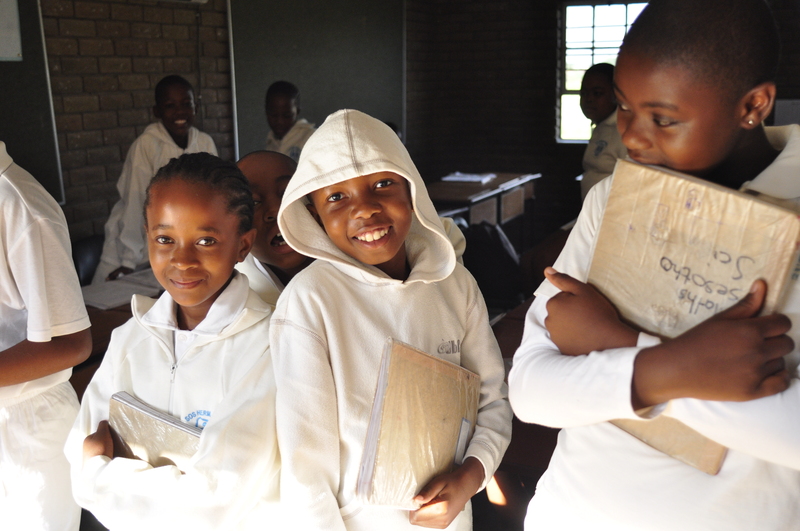 Children from the SOS families and the neighbourhood attend the SOS Children's Villages primary school in Maseru (photo: SOS archives). SOS Children's Villages gives different kinds of assistance to the local population. The family strengthening programme provides support to families who are at risk of abandoning their children. Given the high number of people living with HIV/AIDS we focus primarily on families affected by the illness. Working with local authorities, we ensure that children are given educational and health support. We give material support and advice on parenting skills and income generation. In addition, the HIV/AIDS programme runs prevention and awareness campaigns. The SOS Clinic provides general medical treatment. Children who have lost parental care can find a loving home in one of the ten SOS families, where up to 100 children can be looked after. They grow up in a familial environment full of love, respect and security. The families can raise livestock and there is farming land where they can cultivate fruits and vegetables. There is also plenty of space for the children to play and run around in. The children can attend the SOS Kindergarten which has capacity to care for up to 125 children, some of whom come from the neighbouring community. The provision of day-care is particularly valued by those parents who attend training or go to work. Up to 490 children, both from SOS families and from local families, can attend the SOS Hermann Gmeiner School, which educates children at primary level. When older children are ready to leave their SOS families, we offer special programmes for young adults, where the young people can live while they attend vocational training or higher education. With the support of qualified professionals, the young adults develop perspectives for their future, learn to shoulder responsibility and increasingly make their own decisions.